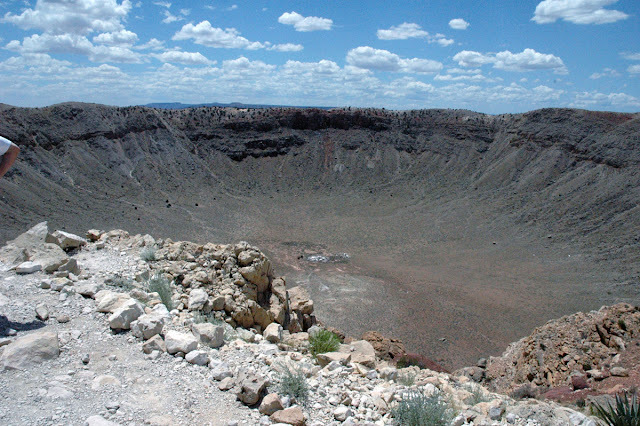 Meteor Crater is a crater formed by meteorite. 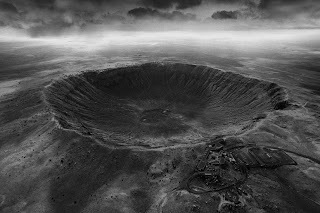 It is located about 43 miles (69 km) east of Flagstaff, near Winslow in northern Arizona desert of the United States. 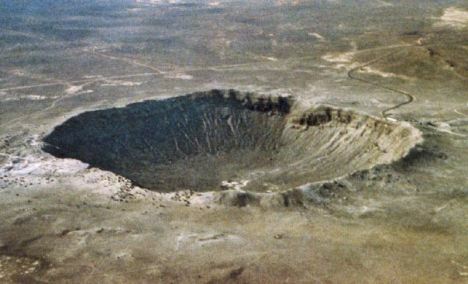 The place was called the Meteor Crater because it was close to the post office name. 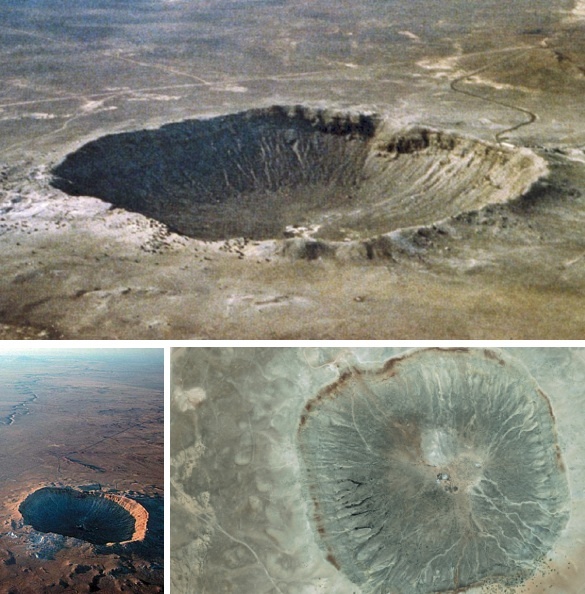 Meteor crater is supposedly formed since 50,000 years ago in the Pleistocene period when the local climate became cooler and wetter. At that time there was a vast grassland and forests, inhabited by woolly mammoths, giant sloth mashed, and camels. Perhaps the area was not inhabited by humans. The fallen meteor containing nickel and make a crater of 50 meters.